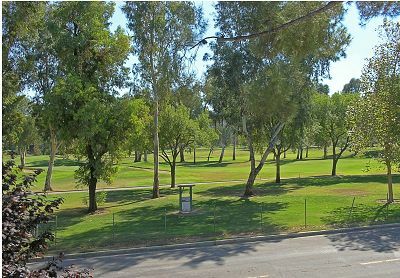 LOOKING FOR A REMODELED CONDO-GOLF COURSE VIEW? 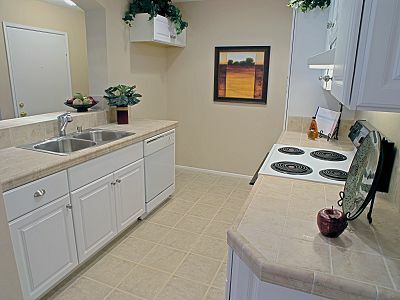 CLICK HERE FOR THE VIRTUAL TOUR (price, location, amenities, etc.). This really is a STEAL of a deal! This is my favorite post from Gunner, to date. What’s ironic is that it’s been sitting, unread, in my GoogleReader menu for a while. I’d been putting off reading it cuz I felt like it would be too long or really convicting or just somehow not fitting into the really busy/limited time that I had during the week. ARMLESS MAN USING HEAD AS LETHAL WEAPON? Really? Really. CLICK HERE The man he headbutted died. Really. So, tonight I recieved the email that had the 167 page attachment…the transcript from the parole hearing this summer. When I first got it (around 9pm) I opened it, glanced at it and clicked it closed…thinking that I needed to be in a different frame of mind for that read. A few hours later, I was laying in bed WIDE awake thinking about a zillion things: a San Diego bound friend, the real estate market, God’s sovereignty, the Office premiere, prayer and the Psalmists, some missionaries I know, the ocean, New Zealand, the summer, at one point crying…the usual. I wished I could fall asleep. When I acknowledged that sleep was far away, I got up and opened the parole hearing transcripts. The intro email from the DA said it would be hard to read because it would bring it all right back into focus, as if it had been yesterday. As I embarked on the 167 page confidential document, I instantly saw his truth. I felt like I was back in that hot tiny room looking at Ms. Nathan’s shackled profile. There are some parts from the hearing that I REALLY want to skip ahead to re-read (like the DA’s argument for her continued incarceration and then her defense lawyer’s response and then also the victim statements…those were incredibly compelling). However, I want to read from beginning to end, in context because I’ve already seen a few details that I missed that day…so, I wonder how much more I will learn from reading them in order. I have to teach 7th & 8th graders tomorrow…I wish I had fallen asleep 3 hours ago so that I could be fresh. However, the transcripts are timely…just a reminder that every person/child matters and you never know where people have been or what they’ve been through. Especially children. I love Todd Bolen’s current (private) blog wherein he solicites help, insight, experience etc. from others who have gone before him in varied spheres of life. So, in homage to him (and need for myself), I ask for your input, beloved reader who probably knows more then I do about SKYPE. I have many international friends and would love to communicate more with them, but it requires much coin. During a call from New Zealand last night, I was asked (again) if I have Skype capabilities. I recognize that I need to flee my lazy American ways and learn about it so that I can encourage/be encouraged by my cool friends around the world! So, who knows about it (and uses it) and can give good practical tutorial tips? I logged onto their Skype’s web site, but frankly I know that people like AP, EWZ, you. etc. are better, more understandable resources….so, bring it, hit me up…skype style! 1. I am very good at archery. I study bow and arrow type archery. I want to get into the Olympics. 2. I am pretty good at singing. I am a soprano and I am in chorus. LG: do you have any hidden talents? Me: Really. What is it? Me: (fighting back laughing) Really? I’d like to hear that. Would you be willing to do that for the whole class? LG: (non-chalantly and touching his throat) Well, I’ve been sick and I’m not sure if I can get ny normal pitch. Me: Well, would you be willing to try? I mean if it’s going to hurt your throat I don’t want you to, but if you can get even close to that pitch I’d really be interested in seeing…I mean hearing that. Then this tiny little human (no more than 85lbs soaking wet), standing there as if bored out of his mind, all of the sudden hunched over, opened his mouth, and let out the most amazing and shocking scream…the pitch…well, let’s just say that my right ear was still ringing after we cheered, after they all calmed down and after I resumed class. I think that’s been one of my top 10 favorite Jr High sub moments. So, as promised, here are some excerpts from this assignment ‘Based on what I know so far about Miss Neylan, here are 5 things about me that she might find interesting’. These excerpts are verbatim quotes from several 8th grade classes at La MEsa Jr High. I will list my 2 favorites in another post. As you read these, consider who/what has shaped these young world views. Sometimes it’s refreshing, sometimes it’s funny, sometimes it’s really disheartening.